My first meeting with a new client is always based on the Titleist Performance Institute assessment. During this assessment, I look at a client’s mobility, flexibility and stability throughout the body. One of the most common areas of limitation I find is in the shoulder girdle. Many clients possess limited shoulder mobility, but what is even more prevalent is limited shoulder stability. With that being said, just because you possess sufficient shoulder mobility does not guarantee you having the required shoulder stability. Statistics show that the shoulder is the third most common injury in golfers. Immobility and instability in the shoulder girdle can also place added stress on the surrounding joints, which include the cervical spine, thoracic-spine, elbow joint and wrists. Stability of the scapulo-thoracic junction. In this test, we are looking at the client’s ability to externally rotate the shoulder, first when standing, and secondly in golf posture. There are a number of muscles responsible for shoulder mobility and scapular stability including the rhomboids, lats and traps. However, I would like to draw particular attention to the importance of the rotator cuff. 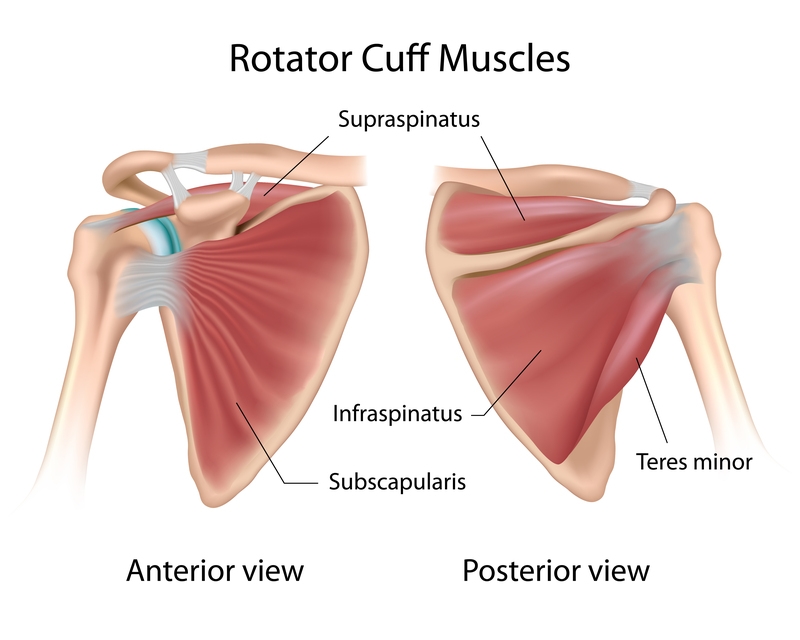 The rotator cuff consists of four small muscles — teres minor, infraspinatus, supraspinatus and subscapularis — all of which play a role in shoulder stabilization and rotation. This muscle group is partially responsible for rotating the shoulder both internally and externally. Limited shoulder mobility could be a result of an overdevelopment of the internal rotators of the shoulder. So, how does limited shoulder mobility and scapula-thoracic stability impact your swing? On the backswing, we are required to externally rotate the trail shoulder. This, in turn, allows us to effectively set the club head correctly at the top of the backswing. 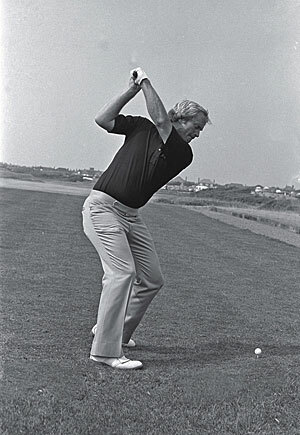 Should you possess limited stability in the scapula-thoracic junction, you would be unable to correctly rotate the shoulder and the position of your trail elbow underneath the club, thus resulting in what is called the “flying elbow.” This could cause the club to move off plane and across the line. Thirdly, maintaining your posture in the golf swing requires an ability to rotate the body without altering your spine angle. This requires good mobility in the hips and shoulders. Therefore, if you have limited shoulder mobility, you may be prone to compromising your posture at some point in your swing. Lay on the floor on your side. Bring your bottom arm out in front and bend your elbow to 90 degrees . Place your top hand on top of your bottom hand and apply resistance down towards the ground. By trying to push your hand on the ground, you are rotating the shoulder. You should feel a stretch around the back of the shoulder. Hold this position for 20 seconds and repeat 3 times. As mentioned earlier, our shoulder mobility can be reduced by an overdevelopment of the internal rotators of the shoulder. The lats are a primary internal rotator, so by developing flexibility in the lat we are improving shoulder function. Lay flat on your back, knees up, feet flat with one arm elevated. Activate your core by keeping your lower back pressed firmly against the floor. While maintaining that activation, drop one arm to touch the floor without losing your pelvic posture. This is a great exercise for stabilizing your core as well. Perform 10 times per arm and repeat for 3 sets. Weak external rotators can also limit shoulder mobility. This exercise is focused on strengthening the external rotators of the shoulder. Using a tube or cable, which can be attached at a high, mid or low point, stand with feet shoulder width apart, chest out and shoulders back. Take a hold of the tube with your arm that is furthest from the anchor point. While keeping the elbow tucked in to your side and maintaining a right angle, externally rotate the shoulder. Note that it is important to isolate the external rotators, so try not to shrug the shoulders or rotate the torso in an attempt to rotate the shoulder. Perform 12 times per arm and repeat for 3 sets. Clinton Shum is a Qualified Strength and Conditioning Golf Specialist with an honours degree in Exercise Science. TPI Level 2 Fitness Certified. 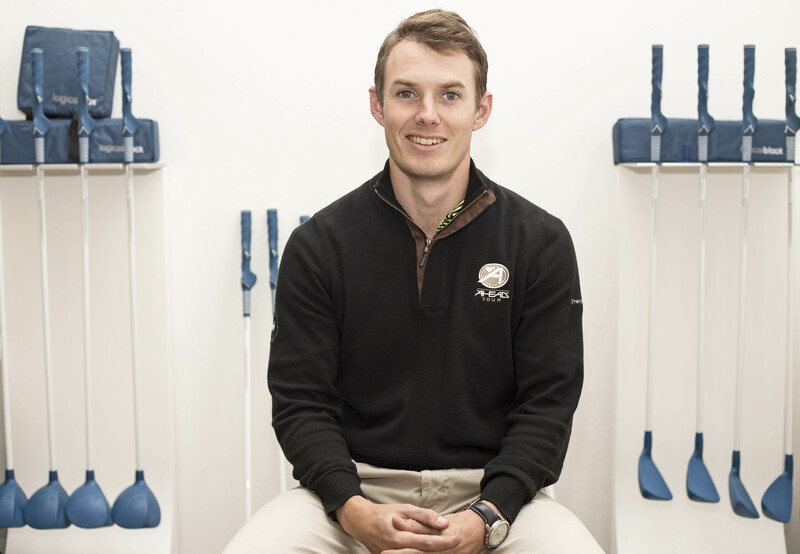 Founder of Xpect Performance and is currently based at the Logical Golf Lab, Durban Country Club, South Africa. Twitter- @shum711 Instagram- clintonshum Facebook- Xpect Performance. I am looking for more information on limitations as well as fitness exercises (including do's and don't) for someone having an AC (acromio clavicular) arthritis. Any one can help?